Several queries from ‘newbies’ on the Society for Editors and Proofreaders’ online discussion group, SfEPLine, prompted me to consider how I went about things when was starting out. Here are my top tips for getting freelance editorial work. Getting experience is the hardest part of the game, and more important when you’re starting out than worrying about the price you’re being paid. Publishers, who are a great source of revenue because they are in a position to offer repeat work, want to give jobs to people who don’t need hand-holding. Offering free work to those small independent publishers who can’t afford copy-editors/proofreaders is a very useful avenue for beefing up your CV and generating testimonials. And don’t worry about this affecting your credibility: your future paying clients won’t know you worked your backside off for nothing – they’ll just see what you’ve done. Furthermore, those clients who offer free work do so because they can’t afford editing services and usually have to do it themselves; those who can afford to pay, do so because they want trained experienced professionals. The lesson here is to get the experience from the former to make yourself attractive to the latter. When I started out six years ago, I did four pieces of very time-consuming gratis work for a couple of publishers and a charity, in addition to editing a parish magazine on a monthly basis. My bank account didn’t see a penny, but my CV looked a great deal better, and I doubt I would have got the breaks that I did with my now-paying clients if I’d not been able to demonstrate practical experience. I get monthly offers of work. To prove the point further, I was recently contacted by a London-based university press whose usual proofreaders were all on their summer vacations. The production editor found my entry in the SfEP's Directory of Editorial Services and asked me if I'd proofread a book for her. She was pleased with the results and took the further step of recommending me to her fellow production editors. Other people's holidays can be your entry point! This tactic means making sacrifices with regard to your leisure time: in my first year I worked a lot of evenings, but it paid off because I hung onto the clients. Now I turn down jobs if the timing doesn’t suit me, and I feel safe in the knowledge that my clients value my work enough that I won’t slip off their radar if I don’t want to proofread on Christmas Eve! Once you’ve got a CV with projects listed on it, you can roll this out to publishing clients. Their websites usually list who the production manager is. Once you know to whom to send your CV, buy lots of stamps! I sent my CV to 70 publishers in the beginning, and got a tiny response rate, but each of these few responses generated repeat paid work, so I wasn’t disheartened by the numbers. Then, once I had more projects under my belt and a more impressive CV, I bought even more stamps and sent out my CV again to another 100 publishers. It does take time to build up a client base, and while I can see the value of having a web presence or using social networking opportunities, I wanted to be proactive and contact the named person within an organisation who was responsible for commissioning freelances, rather than hoping they’d come to me. I have a degree in politics and worked in the marketing department of a social science publisher for many years. I therefore chose to focus my attention on social science academic publishers when I started sending out my CV. 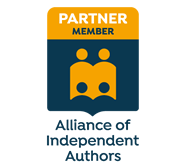 There are thousands of publishing houses out there, so homing in on those that are likely to be interested in you is critical. I really fancied doing some fiction, but I didn’t pick up my first trade client until I’d got four years’ experience. So, if you’re an ex-teacher, focus on educational houses; if you used to be a paralegal, try law/criminology publishers; if you’ve got a degree in mathematics or chemistry, consider publishers with a strong science list. One of my authors is a graphic designer/IT specialist during the week and a mixed martial artist (that’s cage fighter to you and me) at weekends. His book was about his weekend job. He commented that he’d not come across my name before his publisher contacted him, despite his googling, and wondered why I didn’t have an online presence. I made a ton of excuses – I don’t want the expense of paying for a domain hosting service; I have no design skills; I don’t have the time, etc. However, things have changed since I started out as a freelancer and it’s easier than ever to build your own website. It needn’t cost you a penny either. There are a number of providers that will give you a basic but very pleasing platform and domain name at no cost. I use Weebly and am delighted with it, but there are many others from which to choose. Those who'd like more thorough, step-by-step information on starting out may be interested in my guide, Business Planning for Editorial Freelancers: A Guide for New Starters, published in association with The Publishing Training Centre. Great advice here, thanks for sharing it. You're welcome, Richard! Glad you found this article useful. I've been looking for an article like this, so thanks for writing it. I especially liked your tip about timing and what times of the year work best in the proofreading field. Thanks for your input, Eva! I hope some of the tips work for you. It's all very scary the thought of starting out, but your advice is as always invaluable! Thanks for your lovely comment, Pauline We've all been there. I hope some of the tips in the article will give you some additional ideas that you can use in addition to the valuable training that you've already undertaken. Best wishes and good luck to you. Hi Louise, thanks for your very useful advice, and on the PTC forum recently too. Re your "Step 1", I have been trying to access the IPG directory on their website, however the only way seems to be by becoming a member - at a minimum cost of £228! Thought this was worth noting and wondered if you knew any other places indies are listed. Many thanks. Thanks again Louise, that's extremely helpful! Hard to know where to begin at the moment so those are really good pointers. Many thanks Louise - it's so helpful to have these pointers as I am coming to this completely cold (apart from a few years in newspaper sub-editing many moons ago). Hi Louise. As a "wannabe" proofreader I'm currently spending a lot of time researching and planning and I have to say that your website is about the best I've seen so far. I'm all fired up to start putting your great advice into action - but not before I've finished reading every single one of your excellent articles! Thank you so much for your generosity in sharing all your hard-earned experience with us floundering newbies! Hi Jennifer - thanks so much for your kind words. And may I wish you all the best with building your new business! This is such a useful article so thank you. When you approached the publishers for gratis work in the beginning, did you simply say you wanted experience and were willing to do it for free? I am currently looking for local publishers to write to for this kind of thing. Hi Harriet. I treated it almost as if I was applying for paid work, only added the extra bit of information that I was looking to get experience of working directly with publishers. So I very much used a value-on approach to how I presented myself: emphasising my training (e.g. I'd completed the PTC's Basic Proofreading by Distance Learning course with distinction), the non-publisher work I'd carried out, my Associateship with the SfEP, my ability to work to deadlines and to brief, and so on. In essence, I made sure I sold my core USPs so that they could see the value of the service that I was offering. I wanted to move away from the idea that I was offering something for nothing, and focus instead on my desire to gain work experience with a particular client type, all framed within a context that said, "I'm highly competent, well trained to industry-recognized standards, and work-ready." I wanted to make sure they didn't feel they were being contacted by someone who didn't know what they were doing; rather, I was someone who knew exactly what they were doing and what was required, and wanted a chance to prove it in a way that wouldn't interfere with the paid editorial freelance market. That's extremely helpful. Your advice has given me tips I wouldn't have even thought of! Many thanks Louise.